Purus AB, visit us at ISH 2019 Frankfurt. 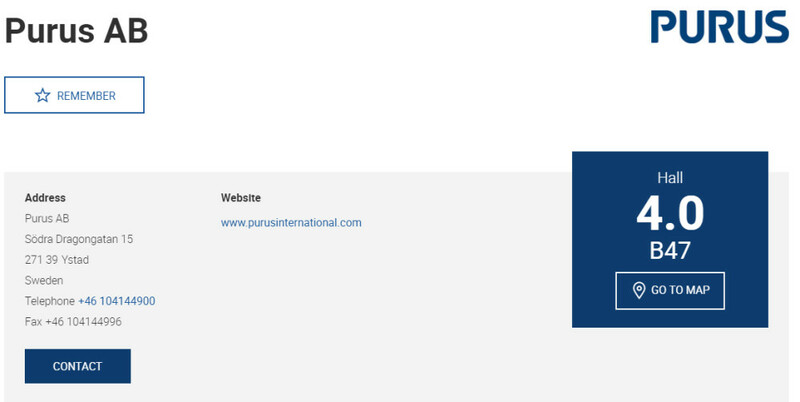 Purus AB will exhibit at the 2019 Edition of the ISH in Frankfurt, between March 11th and March 15th. Please come and visit us by stepping by or book a meeting with us.